You are here: Home / Article Knowledgebase / What exactly is imperial pigeon Blood Color? “Asking to see the pigeon’s blood is like asking to see the face of God.” Rare Imperial Pigeon Blood finest Burma Ruby set in Gold ring with prongs. What exactly is imperial pigeon Blood Color? “Asking to see the pigeon’s blood is like asking to see the face of God.” Rare Imperial Pigeon Blood finest Burma Ruby set in Gold ring with prongs. Gemstoneuniverse.com Table of Burma Ruby Gemstone Facts! Comments In The gemstone trade the word Gem is of importance, rarity and is like a title given to only the choicest and finest of Gemstones. A Gemstone is called a Gem only when it excels on all 4C’s-the cut, color, clarity and carat weight and the crystal is of exceptional lustre with a color so fine and closest to its true spectral color that it looks outstanding. Above is an example of one such”Gem”. Featured above is a fine Burmese Ruby of true imperial pigeon Blood color. What exactly is Imperial Pigeon Blood color? This color Ruby is supposed to be the choicest in Rubies. Imperial Pigeon Blood is pure medium dark red with around a 10-15% shade of Blue that combines with red to give an aristocratic and regal deep red purplish shade. When such a Ruby is set in bright rich yellow Gold of a high caratage the Blue gets muted to give you a stunning and unique scarlet red. An unheated and untreated Burma ruby that is Imperial Pigeon Blood red is so rare and unique in nature that it is the fate of a privileged few to view it and own it. Owning a Burma Ruby as the one featured above is like owing a piece of History. 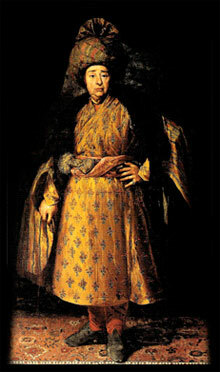 Jean-Baptiste Tavernier (1605 -July 1689) was a French traveller and pioneer of trade with India, and travels through Persia (Iran), most known for works in two quarto volumes, Les Six Voyages de Jean-Baptiste Tavernier (Six Voyages) and diamond merchant for some important diamonds of the century. He was born in Paris, where his father Gabriel and uncle Melchior, Protestants from Antwerp, pursued the profession of cartographers and engravers. Tavernier was one of the most remarkable men of a most remarkable century, the 17th century, known as the Age of Exploration. Tavernier, a private individual, a merchant travelling at his own expense, covered by his own account, 180,000 miles (290,000 km) over the course of forty years and six voyages. The famous Koh-i-Noor Diamond and Hope Diamond are examples of the finest Gems that he returned with , in his adventures. At Gemstoneuniverse we feel blessed, privileged and proud that this Aristocratic piece was sourced by us for our patron whose intense urge to own a Gem so fine made us an instrument in making this planetary ring and view such a Gem. The finest Surya Ring we have made till date, this powerful Burma Ruby will bless its owner with the best Lord Sun has to offer. Note Added 09th Feb 2011, Thank You dear patron for your gracious testimonial and generous praise. 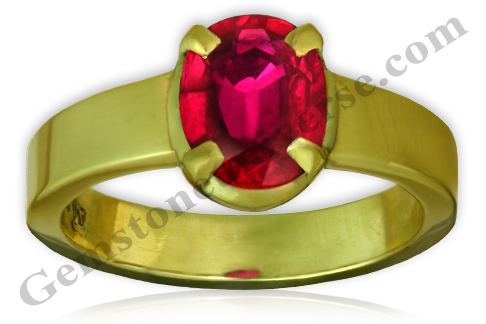 We at Gemstoneuniverse feel fortunate that we were a link in getting this Burmese Ruby for you and that Gemstoneuniverse made this ring that will be a part of our heritage and history. Coming from a respected professional it means a lot!